A stunning new short story from Sunday Times bestseller Nadine Dorries. Christmas is one of the most harrowing times of year for the nurses of St Angelus Hospital. The Matron takes on Tilly, a new clerk, to ease the load in the busy festive period. Tilly is bright and hard-working, but she is keeping a secret from her colleagues. Everyday Tilly makes a heartbreaking decision – but she has no other choice. If Matron – with her traditional values and strict discipline – learnt the truth about her new clerk, Tilly's career would be ruined. Could Matron ever forgive the deceit? 'Captivating, phenomenal and touching' 23 REVIEW STREET. 'A funny and sometimes shocking saga. I couldn't put it down' CRISTINA ODONE. 'The characters are engaging ... and the theme of the novel powerful' THE TIMES. Was a great read. Really loved it. We should have had more into Andrew and Tilly's courtship. This beautiful read ended way too soon. This book was too short! thoroughly enjoyed it. Will read more! Loved this short story. Filled with believable characters and lots of emotions. 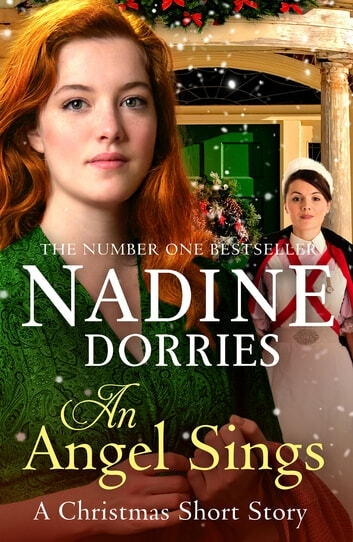 Always can count on Nadine Dorries for a great book. Enjoyable, great read! I have enjoyed The Lovely Lane series by Nadine Dorries.